A book on how to pick the right colors for your home. A homeowner will face many challenges when decorating their home, none of them more important and difficult than choosing colors. The potential choices and combinations for a home are almost unlimited. The colors used for a home are decided by taste and may be a form of the homeowner’s self-expression, but the color-combinations chosen for a room also provide a dramatic effect. The colors used in a room can make it seem gloomy and small or bright and large. How does the homeowner find color combinations that they like? By using The Color Idea Book. This book is essentially a collection of decorative examples and lessons to inspire homeowners in their quest for a unique and delightful home. Author Robin Stangis attempts to help a homeowner wade through the mind-boggling options to find colors that they like and which will suit their home. The child of an artist, Stangis grew up in a home where colors were used for expression. She is also an award-winning interior designer. She starts her book by educating readers on color basics. She provides ideas for making color choices like looking in the closet to identify the colors with which the homeowner is most comfortable. 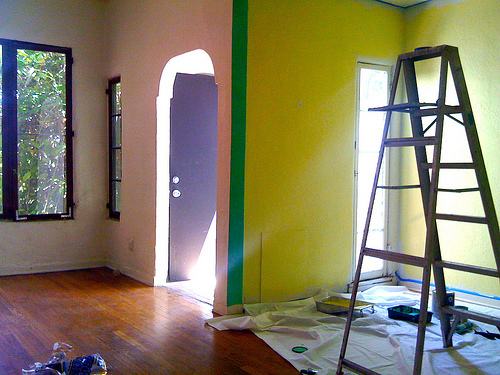 Other factors in choosing colors for a home involve making use of natural light and learning which colors go together. There are also lessons on concepts such as hue and intensity. She also instructs her readers on how to pick fabrics and textures. One of the more important lessons comes in the book’s chapter on color and mood. Stangis points out how colors can affect the way people feel. This is arguably one of the more important factors to consider when decorating a home. She introduces the notion of calm and soothing colors versus colors that can make a person feel more energetic.